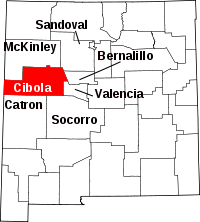 The office of the Cibola County Clerk is located at 515 W High Street in the county seat of Grants, NM. The office is responsible for the filing and storing of most public records for the county, and individuals are encouraged to visit in person for research. The only requirement to inspect public records is to fill out the request application which can be submitted in person when visiting. The New Mexico Genealogical Society also provides a number of options and directions to locate research materials and records, including a listing of many of the Catholic churches in the area. Since New Mexico is a relatively young state, record keeping was handled by local churches for a long period, and some of the Cibola County churches have records dating as far back as the early 1700s.